TVS NTORQ 125 is India’s first Bluetooth connected scooter with sporty style inspired from stealth aircraft and superior performance, built for Gen-Z riders. 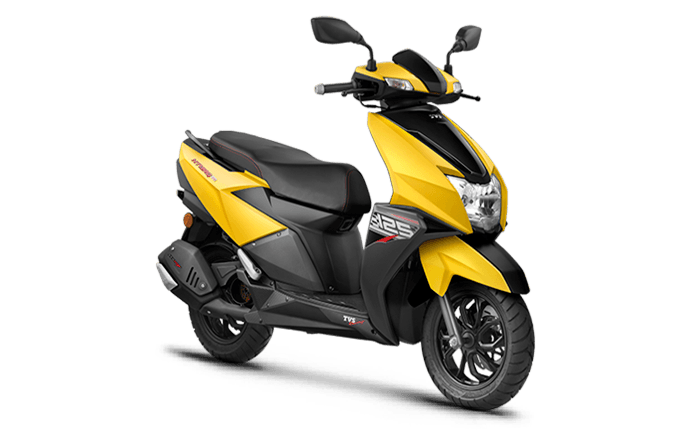 A scooter like no other, TVS NTORQ 125 embodies style, performance and technology. Since its launch in February 2018, TVS NTORQ has taken the two-wheeler world by storm. 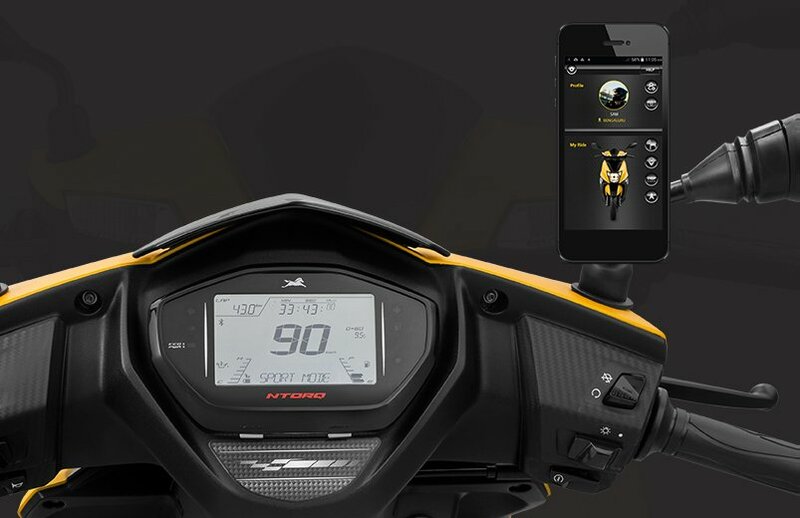 Along with a performance inspired from TVS Racing DNA owing to learnings from Scooter racing experience, TVS NTORQ introduces the TVS SmartXonnect*, an innovative Bluetooth-enabled technology which enables 55 features including navigation assist, top speed recorder, in-built lap-timer, trip meter and multi-ride statistic modes such as Street and Sport. Within six months of its launch, TVS NTORQ 125 has successfully crossed the milestone of one-lakh sales and has carved a mark for itself with the young audience. TVS NTORQ aims to become the most preferred choice of automobile for the Gen-Z through continuous design innovations, technology adoption and by setting new benchmarks in performance. Taking cues from the design of a stealth aircraft, TVS NTORQ 125 embodies a sharp, aggressive style with a signature tail and LED tail lamps. 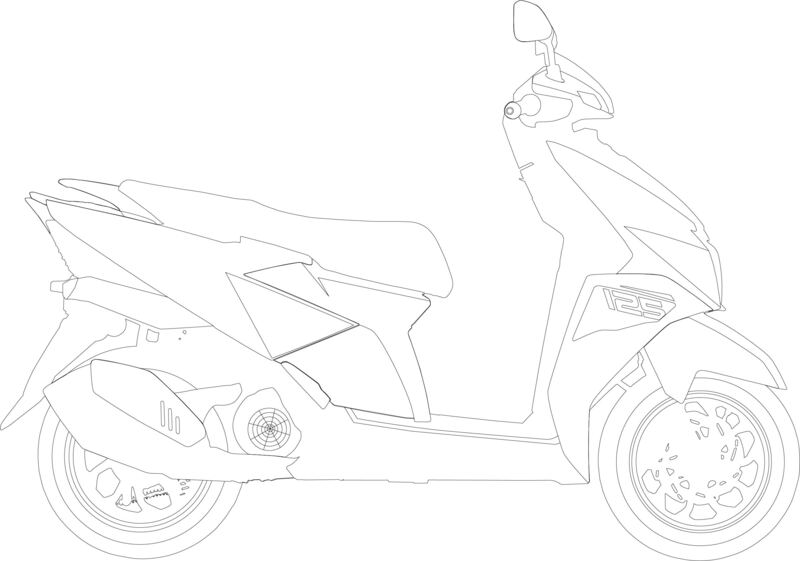 The well-placed sharp cuts of the scooter accentuate its appeal, lending it a tapered, sporty look. Equipped with a sporty stub muffler, an aggressive headlamp cluster and textured floor board, it has diamond cut alloy wheels which make a distinct style statement. 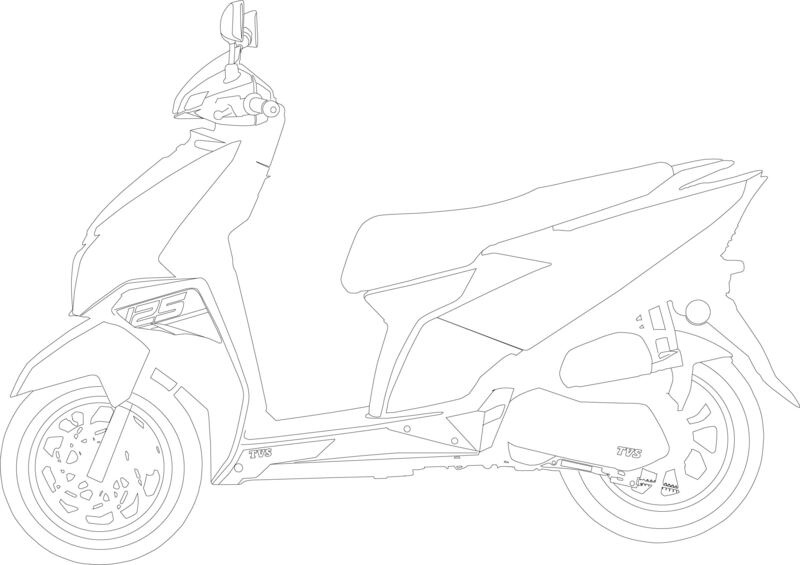 TVS is looking for the next graphic and color combination for NTORQ inspired from the ‘world of transformers’. 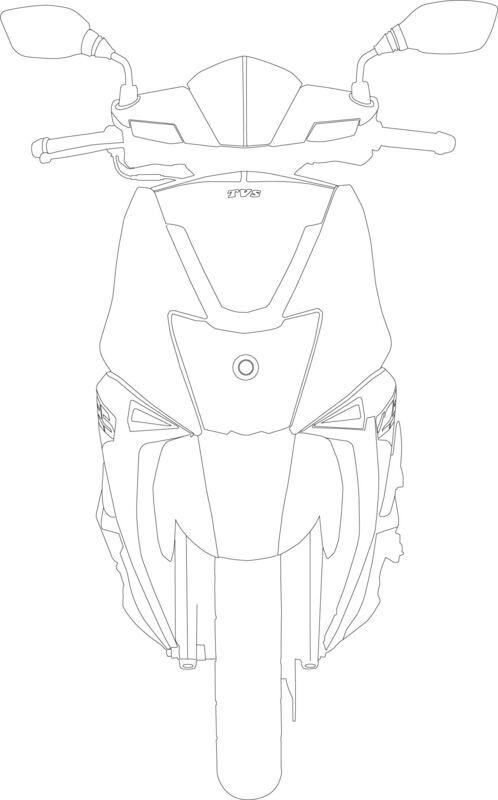 Your job is to take this vehicle (contour-line drawing will be given) and create its new graphics & colors which will appeal to Gen-Z rider and will reflect the persona of NTORQ. Note: The world of transformers is for design inspiration only.